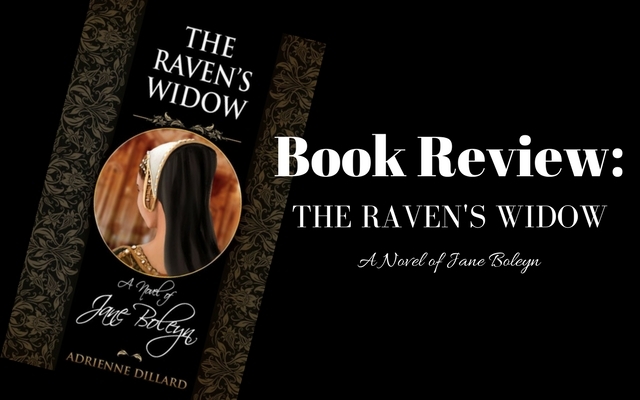 It is through my connections to the Tudor world online that I ran into author Adrienne Dillard. Adrienne is a total sweetheart and sent me her book to review after I asked her to write an article about Jane Boleyn for my site. I already had a growing “To Be Read” pile going on but I moved her book closer to the top because I was reading about Katheryn Howard at the time and I thought Jane Boleyn would be a great follow-up book. I wasn’t sure what to expect since this is the first book by Dillard that I’ve read. She has also written Cor Rotto – A Novel of Catherine Carey and Catherine Carey in a Nutshell. Jane Boleyn, or Jane Parker, Lady Rochford is often portrayed as a villain in novels and TV series such as Showtime’s The Tudors. It is because of those depictions that average people like you and me get our first impressions of Tudor “characters” from. I’ve always believed Jane’s depictions to be unfair and one-sided, she was a very complex woman who became tangled in two major controversies in her lifetime. 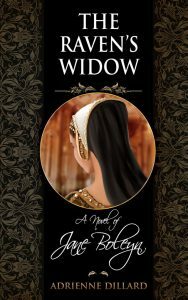 The Raven’s Widow is a brilliantly told story about Jane Parker, wife of George Boleyn, Lord Rochford. The story is told in two timelines, her time with Anne and George and her time with Katheryn Howard. The story begins with a young Jane who is trying to find her way and control her mouth. It continues with her blossoming into an amazing and loyal woman who suffered way too much loss in her lifetime. One of the things I have always wondered was, why did she and George never have children? Of course not everyone had children, or were able to, but other fictionalized stories about the couple would lead you to believe that their marriage was a sham and George was gay. In this story you cannot help but feel for Jane and George who struggle to get pregnant because of their limited time together due to his loyalty to the King. My heart broke along with her’s through each miscarriage she suffered. Jane had always noticed that her brother Henry’s friend George Boleyn was attractive but was turned off by all the attention he received from the other ladies. When Jane found out she was to marry George she was not pleased with the decision at all. Their marriage was an arranged one that over time turned into true love. A great love. Each character in the story came to life while reading it – that’s everyone from Mary Boleyn to Jane’s servant Lucy and even Thomas Cromwell. Anne Boleyn shares a decent amount of the story with Jane and George and is just as fiery and hot-tempered as we all imagine from stories about her. You really can’t blame her either, especially near the end, she became desperate to save herself, her family and her daughter from disaster. As I was finishing this book I had tears in my eyes – I had become so attached to Jane that I didn’t want her ending to come. Nor did I want this amazingly written book to end. This book is a real page-turner and you’ll have a difficult time putting it down. Even though I knew where the story was going it left me anxious for what was to come on the following pages. A wonderful review about a wonderful novel!